Eye bag problems and the accompanying dark circles can be overcome with a variety of appropriate treatments. Treatment can be done at home with natural ingredients, through medical procedures such as lasers, dermal fillers (implants to improve facial appearance), and eyelid surgery. Eye bags or also known as panda eyes often arise with age. When the tissues and muscles that support the eyelids are weakened. Generally only a matter of beauty or appearance alone, and rarely caused by a serious medical condition. Appearance will be more disturbing if eye bags accompanied by a circle under the eyes, mild swelling, until the skin is loose and wrinkles. Aging, fatigue and lack of sleep are the main causes of eye bag problems and dark circles in your eyes. Post-inflammatory increase in melanin or hyperpigmentation due to allergies. 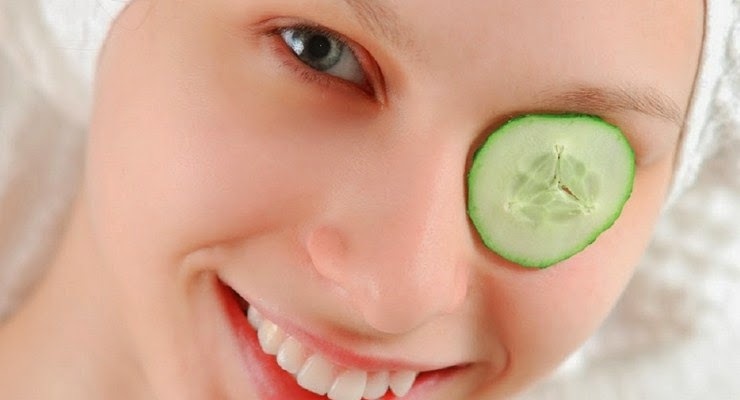 Reduction of fat under the eyes due to skin problems. Consuming too much caffeine and tobacco that causes sleep deprivation. Fluid retention is due to weather changes, hormone levels and salty foods. Allergies or dermatitis accompanied by swelling, redness and itching. Stress and exposure to sunlight. Nasal congestion, anemia, until pregnancy. Compress the eyes. Compress your eyes with a clean cloth that has been moistened with cold water. Compress the eyes for a few minutes with a little pressure on your eyes. You can use a green tea bag or a piece of cucumber as a compress. Or you can use an eye gel mask that is now on the market. Improve your sleep time with enough time that is 7 to 8 hours a day. Sleeping position with your head slightly raised will help overcome your eye bag problems. Sleep with extra pillows to support the head. This way of removing eye bags helps prevent fluid from accumulating around the eyes while you sleep. Avoid alcoholic beverages and caffeinated, because it can cause mild dehydration, interfere with sleep hours, and make eye bags and dark circles appear clearer. Adequate fluid intake can prevent you from dehydration and help prevent eye bags. In order to avoid fluid retention, you can reduce the intake of salted or salt-containing foods. Make sure you drink plenty of water, at least 8 glasses a day, so that your skin stays healthy and moist. Potassium intake can also help reduce excess fluid in the body which can trigger eye bags. The food sources that contain potassium include bananas, nuts, yogurt, and green vegetables. Use eye creams that contain chamomile, cucumber, or arnica which help reduce inflammation and tighten the skin. Allergy medicine. If the conditions in your eyes are caused by allergies, then the way to get rid of eye bags and dark circles is to avoid allergens and take allergy medications available at the pharmacy or for using a doctor's prescription. Dermal filler. This dermal filler treatment in the dermatologist can be a solution for eye bag problems caused by damaged blood vessels, and loss of fat tissue in your eye area. Laser treatment and vitamin K. Laser treatment can reduce the appearance of dark circles due to ruptured blood vessels. Skin care products that contain vitamin K can also help remove eye bags and dark circles under your eyes. Whitening cream. This treatment can be a solution if your eye bags and dark circles are caused by too much melanin or hyperpigmentation. Usually, the dermatologist will prescribe a containing lightening agents such as retinol, hydroquinone, kojic acid, green tea, vitamin C, or soybeans. SPF 30 Sunscreen. Avoid sun exposure and use sunscreen every day with SPF 30. Concealer with one color brighter than your skin color can help disguise dark circles under the eyes. It is recommended to use concealer with SPF 15 or more. If your skin tends to be oily or pustular, use an oil-free concealer. If your eye bag and dark circle problems don't go away and even get swollen worse, and when lifestyle changes or other treatments don't work, you can consider linking or blepharoplasty. The doctor will remove excess fat, muscles, and skin on your eyelids. Besides eliminating eye bags, blepharoplasty can also repair swollen eyelids, and reduce excess upper and lower eyelid skin which can interfere with vision. However, you need to consult a doctor first before performing this operation, given the risks that can be caused such as infections, dry eyes, vision problems to changes in the position of the eyelids. Eye bag problems and dark circles are generally not a sign of a serious medical condition. Good luck trying to remove eye bags above. However, you should contact your doctor if you experience severe, long-lasting swollen eye and eye irritation, as well as other symptoms that affect other parts of the body. Because the accompanying symptoms can be a sign of more serious health conditions such as conjunctivitis, blepharitis or inflammation of the eyelids, ptosis or drooping eyelids, cellulitis, skin infections, to thyroid disease.